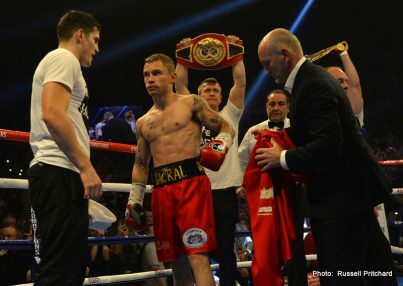 EBU super bantamweight champion Carl Frampton (17-0, 12 KO’s) annihilated a badly over-matched, and underpowered Jeremy Parodi (35-2-1, 9 KO’s) by a 6th round knockout tonight at the Odyssey Arena, in Belfast, Northern Ireland, United Kingdom. 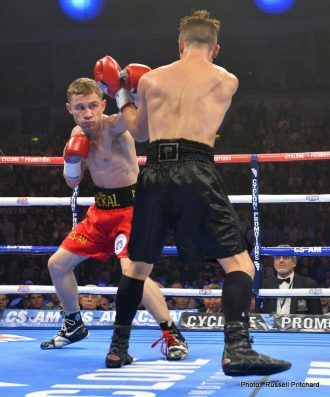 Frampton placed a perfect left hand to the body that put Parodi down on the canvas. The referee then counted Parodi out. The bout was not much of a fight because Parodi was too busy getting nailed with power shots for the entire fight to do much besides throwing jabs. Parodi didn’t have the armament to make this an actual fight, so he ended up taking shots one after another for 6 rounds until hitting the deck from a left hand from Frampton. Parodi was cut over the left eye in the 4th, and the blood was obviously a big problem for him. But even if he hadn’t been cut, he wasn’t going to be able to do much in this fight due to his lack of power. Parodi was over-matched in every sense of the word. 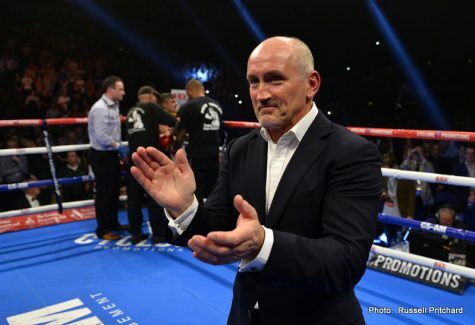 Frampton landed at will in the fight and didn’t have to worry about much coming back at him other than jabs. 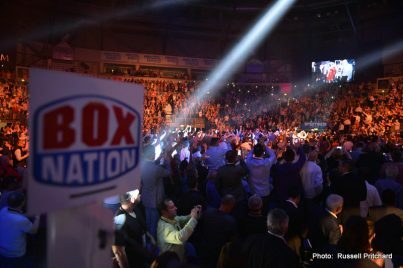 It was a much different fight from his last bout against Kiko Martinez, where Frampton had to move around the ring in order to avoid getting hit by the more powerful Martinez. 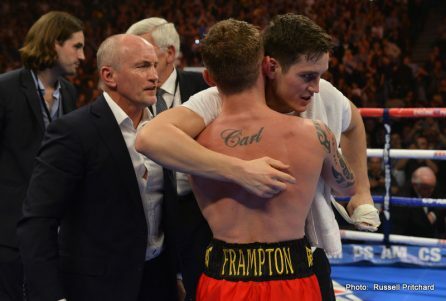 Tonight, Frampton was the one doing the stalking and it was too easy for him. 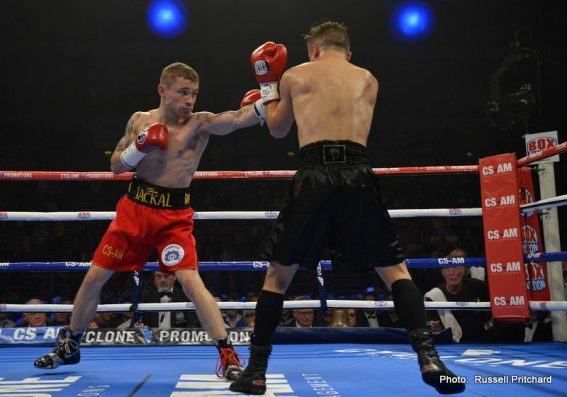 With this victory, Frampton’s team want to match him against the IBF super bantamweight champion Kiko Martinez, provided that he wins his December 21st fight against Jeffrey Mathebula. 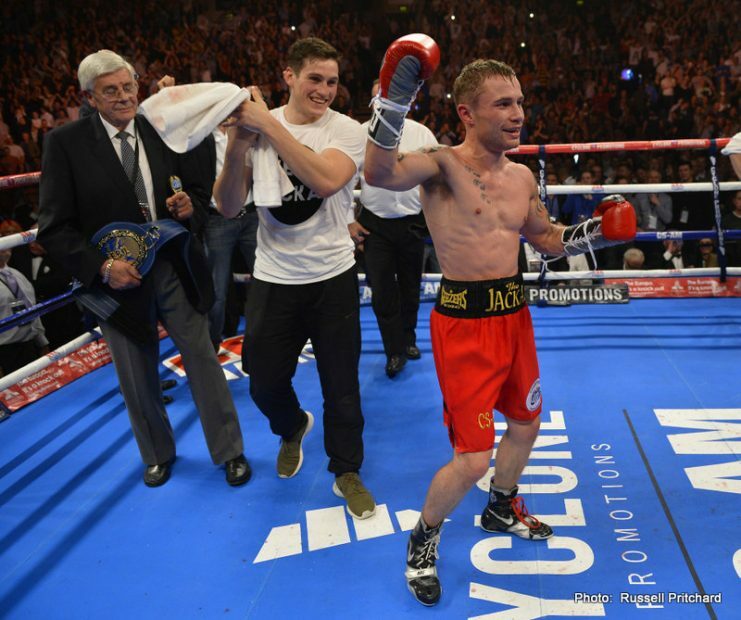 We could see Frampton facing Martinez again for his IBF belt. It’s not really an interesting way to go about winning a world title by facing someone you just beat. 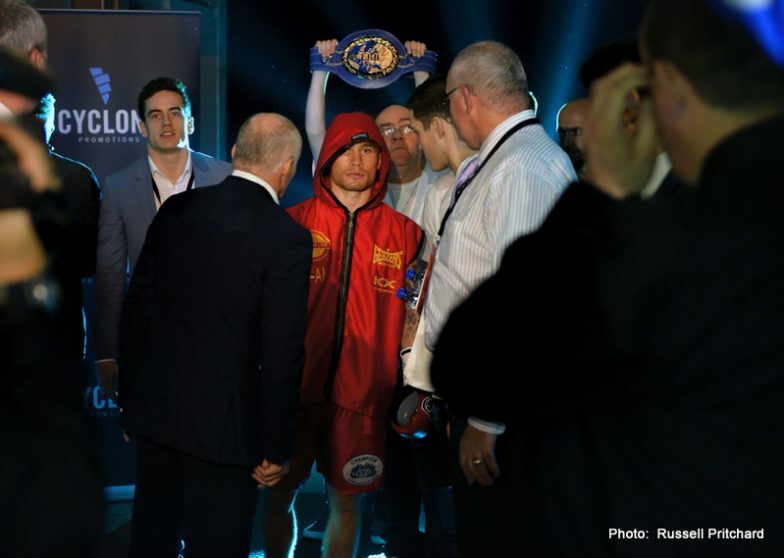 I think it would be much more courageous of Frampton if he would chose to take on WBC super bantamweight champion Leo Santa Cruz or WBA/WBO chap Guillermo Rigondeaux. 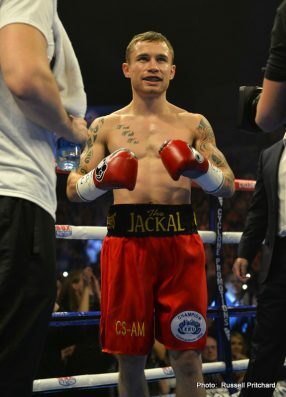 Don’t hold your breath waiting for that to happen because those guys would likely beat Frampton effortlessly. Those are pretty much un-winnable fights for Frampton. 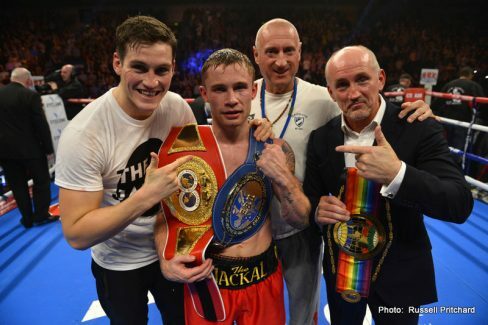 By targeting Kiko Martinez rather than Santa Cruz and Rigondeaux, it seems like Frampton knows his place. Previous boxing news: Who can match Floyd Mayweather for speed? 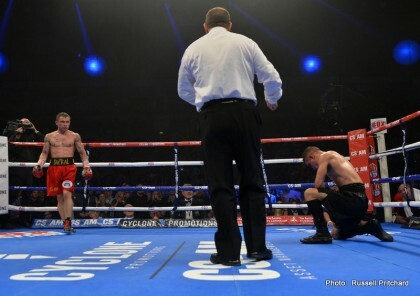 Ricky Hatton says Amir Khan can!